Day 13: Visit Alchi Gompa.and drive back to Leh. We will start our journey from Leh to Mulbek by jeep to visit Lamayuru , Likir, and Rizong monasteries. Mulbek is a famous village with big rock carved Buddha Statue. 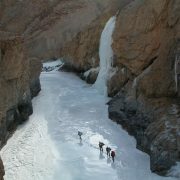 Stay in Camp overnight at Mulberk 36 km before kargil. On this day we drive to Parkachik via kargil. 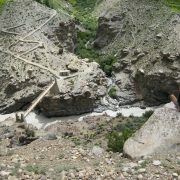 Kargil is the nearest village to Nun Kun in the Suru valley with amazing landscape. Stay in a camp overnight. 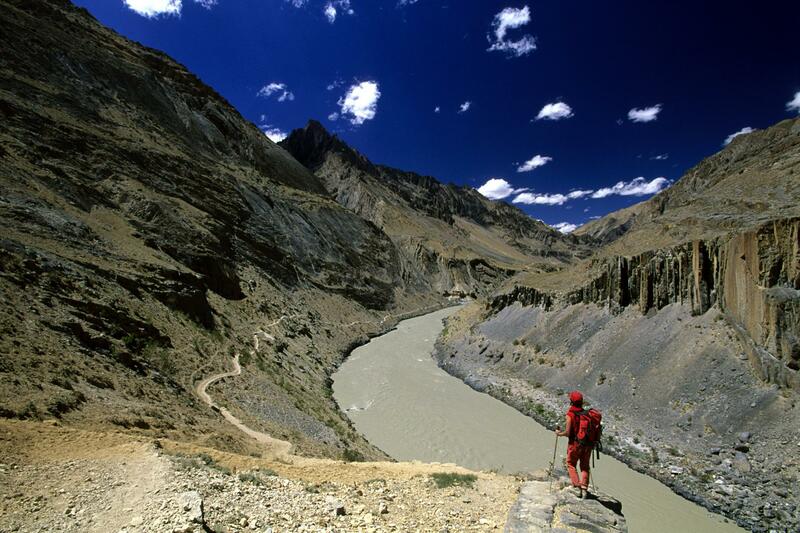 On this day we will Reach Padum via Rangdum and The Sani Gompa. We can start our first days trek in the morning after breakfast. We can trek to Karsha (3610 M) by covering approximately 7 kms in 3-4 hrs, crossing the Doda river. A 15th century Gelupa Monastery (popularly known as Karsha Gompa) dominates the scene. Arrive and stay overnight in tents. 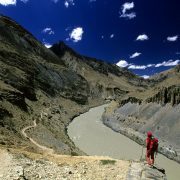 In the morning after breakfast we will start trekking to Pishu (3665 M) by covering approximately 13 kms in 4-5 hrs along the river Zanskar. Arrive there and stay overnight in tents. 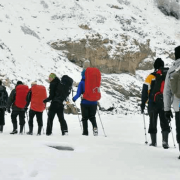 In the morning after breakfast we will start trekking to reach Hanumil (3960 M) by covering approximately 14 kms in 4-5 hrs through Pidmu after continuing to the left bank of the river Zanskar. In the morning after breakfast start trekking to reach Snertse (3745 M/15 kms) after crossing a steep and difficult climb to the pass, Purfila (3900 M). From the pass it is a steep descent upon Omachu river and from there it is about 1 km climb up to a wonderful location. Today the campsite is at Snertse. Arrive and stay overnight in tents. First the climb is through the terminal Moraine and then through the long Glacier. The climb is not steep but the descent through the steep glaciers is a little difficult. We will proceed to Lingshet via another pass called Boumitse La (4200 M). The day is quite long of 7-8 hours of journey approximately. Lingshet village is a town of clusters of homes, green Fields, and a gompa above in a dark brown cut crop. Early morning after breakfast start trekking to the base of Singla, 6 – 7 hrs approximately. Dinner & overnight stay is in camp. Early morning after breakfast start climbing up the Shingela Pass (5230 M) which takes about 2 hours. Shingela means the lion’s pass which is also the highest pass on this trek. Proceed to Photoskar village is a town of clusters of homes, green fields and a gompa above in a dark brown cut crop. Arrive for dinner & stay overnight in tents. On this day, in the morning after breakfast we start trekking (6-7 hours approx.) 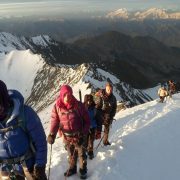 to reach Hanupatta (3770 M) after crossing Sirsir La (4230 M). The climb to the pass is steep but the descent is gentle. In the morning after breakfast we start trekking (6-7 hours approx.) to reach Wanla (3645 M). Wanla is a small town with its Maroon and white Monastery perched above the town on a knife edged ridge. Arrive or proceed to Shila (about 30 minutes easy walk which is another nice camping site) and the overnight stay is in tents. Today morning after breakfast we visit Alchi Gompa. Therafter we return to camp for lunch (62 kms) and drive back to leh. Arrive at the hotel and stay overnight.